Tomorrow marks the 20th anniversary of Sonic the Hedgehog, but Europe's not getting into the spiky spirit in the eShop at least. Nintendo has just sent over the list of games you can expect to play form this weekend, so let's see what lucky European guys and girls can download. Double Dragon (Game Boy, €3) — Join Billy and Jimmy in this portable conversion of the famous arcade fighter. We'll have a muscular review soon. Radar Mission (Game Boy, €3) — The game that launched a handful of battleships, Radar Mission is in some small way a precursor to Steel Diver. If you want to know if its depth is worth the charge, check out our Radar Mission review. Just Sing! 80s Collection (DSi Shop: 500pts, eShop: €5) — Another entry in the portable crooning series, let's hope this one's a bit better than Just Sing! National Anthems and its ilk. Full review coming soon. 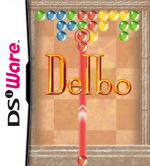 Delbo (DSi Shop: 200pts, eShop: €2) — A simultaneous release in North America and Europe for Neko's shooter/puzzle hybrid, we'll bring you our verdict soon. NyxQuest: Kindred Spirits (Over the Top Games, full game: 1000pts) — Another chance to try out the venerable WiiWare adventure and for free. Be sure to read our NyxQuest: Kindred Spirits review too. no wii love? i haven't heard anything on motoheroz in a while, what's its status? Is Double Dragon for the GB the same game as the Nes version? This game was HARD rock hard and Evil in every sense of the way and that's the way I like it.lol . Besides, if it's the same game I've got not interest in downloading other than having it because it's just cool to have. Hopefully some Sonic goodness will arrive at very short notice, like the release of Link's Awakening during E3. If not, then it's safe to say I'm personally getting a little frustrated with the European eShop service, which is so far not matching its US counterpart in terms of content and features. Seems like they forgot about the Wii. What About MegaMan 5 ? Sure, the WiiU is on its way, but isnt it a bit too soon to abandon the Wii ? I would have thought that putting sonic up on the anniversary would have been a money printer. @4 The Wii U is coming out in a year. I don't think Nintendo will be abandoning it just yet. @TheAmazingRaccoon absolutely, and im sure theres still more games, and why not realese Starfox 2 (SNES version that was almost completed but never realesed), the Super Mario World protptype (that look more like SMB3) Fzero X 64DD expansion and all the others. Some countries in Europe will get a free Kirby Channel as well! All of the Kirby TV episodes will be viewable there..
WOW, this time it's true, I've read the article thrice... A DEMO? @GuardianAcorn: Motoheroz still in its release window, late June/early July. EDIT: "Delbo: A simultaneous release in North America and Europe for Neko's shooter/puzzle hybrid, we'll bring you our verdict soon" Just noticed this. More worldwide releases please. We are a jealous bunch. US seemed to get Sonic DS games in the eShop? Meaning just those games added to either review or see details/trailers of, or like.. real full games? Because that would yet again ruin EU eShop. Are you kidding me?? This is bad Nothing really interesting, thank God I have OoT and to more worlds to beat at Donkey Kong! Well can't get gems every week it seems. Actually i take that back just a little. Looked at the review for Radar Mission, and I think I will maybe get it. And I guess I will at least look into the review for Double Dragon even if it's name is more interesting than the title itself. And some very good news is that it seems we will know the day before what games we get, I like that ! where can I find out what will be coming to the US eshop? Never saw Double Dragon coming! Good port. I'm guessing this list isn't complete, as the Nintendo UK site says Airport Mania for WiiWare is out too. Not bad. 3DS owners shouldn't be complaining when they get two virtual console games in one week. @Gavin_Rozee Safe to assume this is the final list - Airport Mania was released last Thursday. I think NOE may still be having some problems with their website, since it's listed as Friday 24th, which of course wouldn't be the case anyway. Boo, we already got that NyxQuest demo a year ago! I know I have to pick it up, dammit. No need to remind me - again. ...if it wasn't for the new and free Kirby TV Channel. @Gavin_Rozee (20): No. Airport Mania was released last week. My bad. I don't keep up with WiiWare anymore. Hopefully we'll get the E3 trailers, but I doubt it. Probably a 2D video of a Sudoku game or something. When does this update go live on the eShop? Tomorrow afternoon? I still have that NyxQuest demo from last time! This is terrible - I'd at least expect some crappy Wiiware shovelware. They shouldn't split their downloads between the Wii and handheld consoles since I have neither a DSi or a 3DS. I still think it's nice to see the demo service back, even if it's an old game. I thought we lost it for good after two months of nothing. @Gavin_Rozee: It went live on Thursday around 3pm CET. That's 2pm for you guys I think. Anyone know why the EUR list is up already? NOA hasn't said anything about the releases tomorrow. I wana know what we get!! Double Dragon is not bad at all for you guys. Is Double Dragon like Streets of Rage? @Gavin_Rozee: Yes, it's very similiar. Same genre and gameplay. Just a bit older. Nothing for me this week. I still have the original cardridge for Double Dragon en Radar Mission (why do they need to remove the multiplayer option, put some effort in it Nintendo), I have NyxQuest and the two DSiWare games doesn't sound so interesting. No 3DSware, wiiware or wii vc? We normally get two wii vc games a month, hopefully we'll get something next week as that will be the last update of the month. Also, what about Mega man x or Mega man 5 and surely there must've been something they could've released on wiiware this week. 3DSware seems to be getting a worse launch than dsiware, most of the dsiware launch games are better than both 3DSware launch games (imo) and its the third week of the eshop being up and there are still only two 3DSware games. 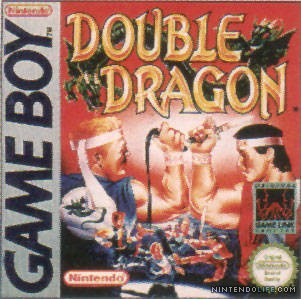 Double Dragon for the Game Boy sounds and looks cool, hope it comes to North America. If there's no Kirby, Samus, or Mario on 3DS VC this week, count me out. I have too many games to play as it is right now! I'm still very disappointed with Nintendo's handling of the e-shop and of Europe in particular. Is this the high quality online service we can expect for the Wii U as well? Even XBLA, which has had its main game this week delayed in most territories, still has an infinitely stronger line up of content for the week. Nintendo needs to get some 3DSWare, not more VC and DSiWare! There is only 1 actual game for 3DSWare, Excitebike, (I don't really count Pokedex 3D as a Game, more of an app). Nintendo need to focus on new games more, sure VCis nice, but i'm looking for something new. Where is our Wii VC release this week - where is Mega man X and Mega Man 5 then? I have not got a 3DS yet!!! So basically, 3DSware doesn't exist? We just get small screened DSiWare games? If it wasn't for Link's Awakening the Eshop would've been such a fail. Oh dear Nintendo, if the Wii-u is like this when it launches many people will be disapointed, No Sonic games to mark the blue hog's Birthday. It's terrible.... I wonder how much cash the big N has printed since offering us a VC service? My God, you people are such downers. I loathed the NES DD1 as there was no 2 player simultaneous play. I DID want to experience the GB DD's 1-3 though... maybe I'll get a second chance as I won't mind playing these solo. They open the shop at the begining of the month but the cards arnt available until the end of the month. Also regarding the E-(rip off)shop.Its gonna have to be a pretty special game for me to download anything at those prices!! P.S Would it be possible to give us UK prices as I don't think a straight forward currency conversion from euros would be accurate. Eh... yeah. Whatever happened to 3DSWare? Are they not letting 3rd parties release anything for it? I have played the Arcade and Nes versions of Double Dragon. I hope the GameBoy version is good. I'll wait for a review. I'm not interested for these games. Its all too common to have nothing for Wii. PSN and XBLA now have Sonic discounts. @Qwikman_Bass Capcom are bringing MML3: prototype version to 3DSware, Lets golf 2 by gameloft is coming to 3DSware, Mutant Mudds is coming to 3DSware and Japan got two third party 3DSware games at launch but the amount of upcoming games for the service is pretty lacking. Whooo Hoooo!! Can't wait to get my hands on Double Dragon tomorrow and I may give Radar Mission a go. Now Nintendo please release Kirby's Dream Land next week and hurry up with getting Mega Man X on the European Wii VC. I just can't believe there's still not a single WiiWare game. Where is MDK2, Frobot, Liight, The Magic Obelisk, NightSky, Eduardo the Samurai Toaster, GhostSlayer, Pole's Big Adventure, ShadowPlay, La-Mulana? ^put Motoheroz into that list too. I'm hoping for Qix and Double Dragon here in NA tomorrow. Do my eyes deceive me, or are the wiiware demo's really back all of a sudden? Oh it's yet again the Icarian demo, and I have already the full game. It's nice that the wiiware demo's are back, but I would love some new ones. There are a few demo's (this is one of them) that have been offered more then once! NyxQuest is one of the best games ever. The perfect game to illustrate the Wii's superior controls over its counterparts. Don't like GB double dragon. Really love the arcade version (still waiting for that on VC), but the GB version was too unforgiving and had annoying jump mechanism.. you kept falling off, I hated it. Do like very much these side-scrolling platforms though. The best one on Gameboy was DARKMAN actually. The Kirby wii channel makes this week one of the best updates the EU has had for a while... I hope they will bring some other classic Nintendo programs to the wii, it would make a great OD video box. Does anybody know why the new dsiware releases don't get added to the e-shop? There has been added some categories for Fighting- en Racing games. And I mean for everything, so you'll see DSi-3DSware and even 3DS Cardridge games! @Luigi78 The press release goes out in Euro prices, I'll try to confirm UK costs later. 100 points cost 1 Euro or 90p, so a 300 DSi point or 3 Euro 3DS game is 2.70GBP. Kirby TV Channel my only download this week! No Wii VC this week, Oh that's really bad. We could do with a catch week, we still havn't got Axelay yet I've noticed. It's obvious that Nintendo are supporting the e-shop but no Sonic titles, are Nintendo getting them back for Sonic Generations not appearing on Wii-U. Sega could have done episode 2 of Sonic 4 this week to celebrate their biggest seller's Birthday but No. It's a real shame. I thought it was Jimmy and Bimmy - or was that corrected at some point? boring!! come on nintendo bring sum decent games out!